In the twenty years that I’ve been living in Guatemala, I’ve met people from all over the world. While some foreigners move to Guatemala to relax, retire or join a spouse or partner, others come for work or to start a business. Whether you move for love, work, or to invest, the truth is getting legal in Guatemala can be challenging. A few years ago, I met a couple who had moved from New Delhi, India, to Guatemala City. They had married in India some months prior and moved because the husband’s company, a global financial services firm, offered him a position leading a management transition for this company’s Central American operations. The company offered a considerable relocation package including six months rent, airfare, and reimbursement of moving expenses. Also included in the package was visa sponsorship for both the working and accompanying spouse. I met the husband because I was working as a consultant on a project for this company. The couple had spent about two months in Guatemala and loved it but their legal status was worrying for them. While the husband was on a temporary work permit, the wife was on a tourist visa. Under Guatemalan law, foreigners can spend ninety days in-country before needing a visa renewal. The initial ninety-day visa provides sufficient time to settle in before having to make a trip to, say, El Salvador, which is the closest border to Guatemala City, to get the renewal. To do a visa renewal, you need to exit Guatemala and re-enter through any border. That renewal lasts another ninety days. After the second renewal, further renewals only last for 45 days, but Northern Triangle countries (Guatemala, El Salvador, and Honduras) don’t count so foreigners must re-enter from any other country than those – most likely Mexico or Belize. Foreigners can live in the country for up to a year on a tourist visa. After that, they must apply for residency to stay in Guatemala. My Indian colleague’s work visa application, projected at three months, was going on six. So the couple’s concerns lay in the fact the company had to find a way around the law as the husband was essentially working illegally. To avoid any legal issues, the company was paying the husband’s salary back in India. With the end of the six-month rental package approaching, either staying in their current home or finding a new one became a pressing concern. At the end of their original lease, the couple ended up picking up the remaining months in another Indian couple’s apartment. During this time they also learned they were expecting their first child. This unexpected turn of events forced them to reconsider their stay in Guatemala. The wife returned to India to have their baby and the husband joined soon after, leading them to ask the husband’s company to bring them back to India. The company agreed and gave them three months to move back. On one of the final occasions I saw the husband (the wife never returned to Guatemala after having their baby), he had some interesting news: his work visa was ready. The entire process took around ten months. When I asked him why so long, he said his company’s lawyers told him “these things happen”. He never received an official Guatemalan paycheck and essentially worked illegally for a year. The moral of this story is whenever an expat opportunity comes up in Guatemala, it’s best to start all legal paperwork well in advance. For those thinking about opening a business or buying property, the easiest way to achieve this is through a Guatemalan national. Since expats cannot own property or register a business unless they are legal residents, many register their business or property in a Guatemalan person’s name like their spouse or a trusted partner. Others hire lawyers who can set up a trust on behalf of the foreigner. Most foreigners who set up companies will find a Guatemalan partner who can serve as the legal representative for the project while drawing up the paperwork to ensure their capital is safe. Almost all major corporations hire local lawyers to set up a new company under a Guatemalan legal representative and then produce a licensing agreement for the use of names and brands. When the Canadian telecom company Telus entered the Central American market in 2014, they found it was easier to buy an existing Guatemalan telecom company (Transactel) and re-brand under Telus. Walmart did the same thing by buying an existing supermarket chain and re-branding its stores. If you are investing, it’s best to have local associates with whom you can establish a solid partnership. Lawyers can handle the legal paperwork and set up a new business as local rather than foreign. 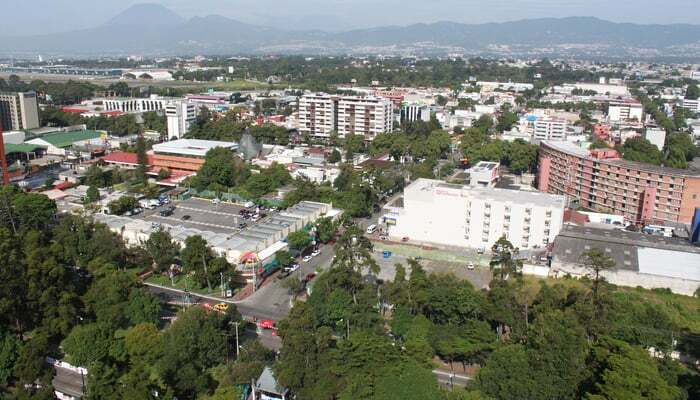 Setting up a new local business can take around forty-five days while setting up a foreign company for operations in Guatemala can take several months. Whatever the case, be ready for the long haul as everything takes a while to get done in Guatemala.